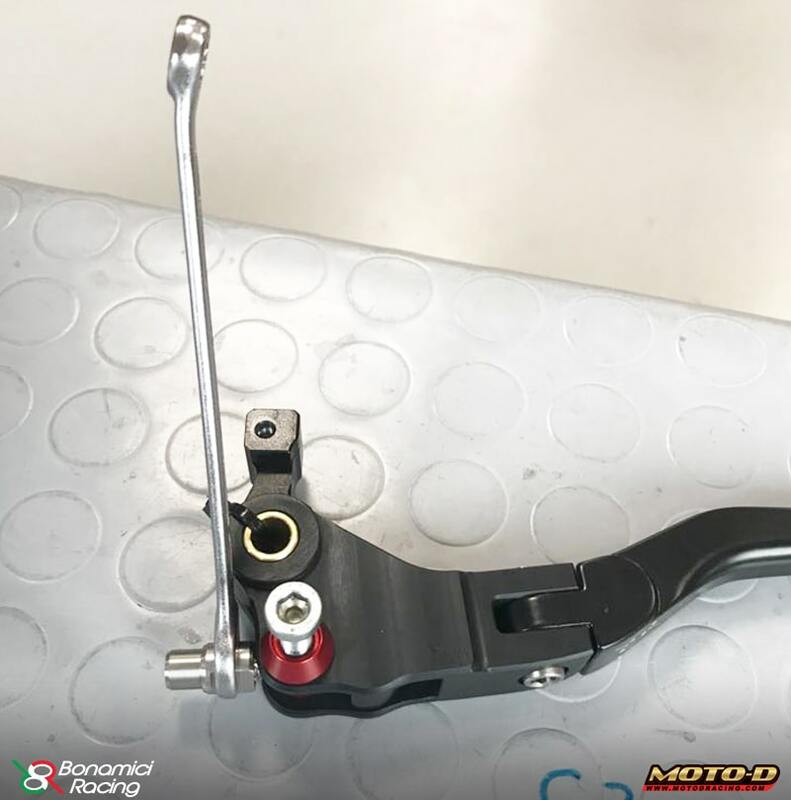 Bonamici makes Remote Brake Adjusters for Levers which fit Brembo Master Cylinders which come as OEM as well as Levers which fit upgraded aftermarket master cylinders like Brembo 19x18, 19x20, RCS and Braking. 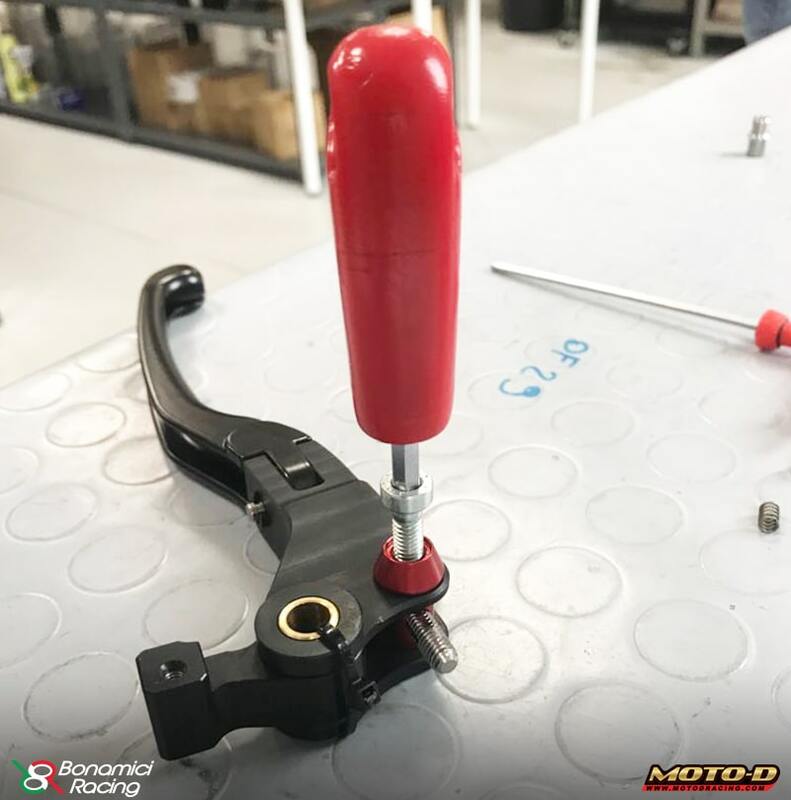 In addition, for riders using Bonamici Folding Levers a Bonamici Remote Brake Adjuster is also available. 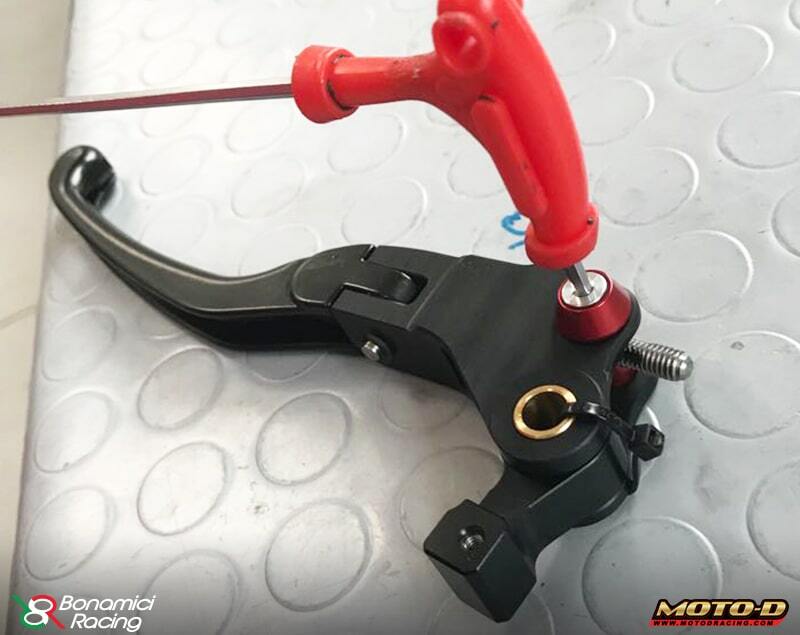 A remote brake adjuster allows the rider to dial in (our out) the brake lever while riding using their opposite clutch side left hand. 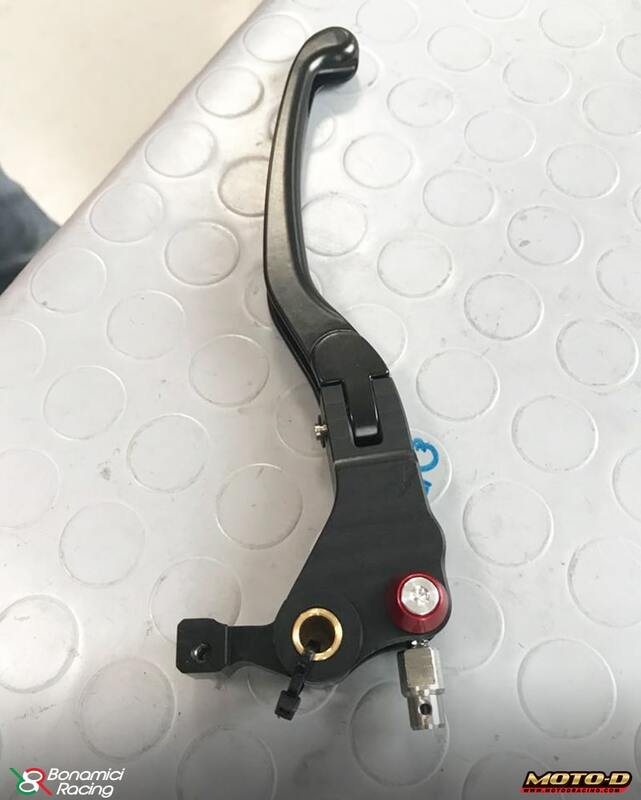 This can be very helpful to minimize brake fade issues and to get just the right amount of braking power, speed, and feel for proper trail braking and turn-in. Step #2: Remove spring and ball inserted inside. 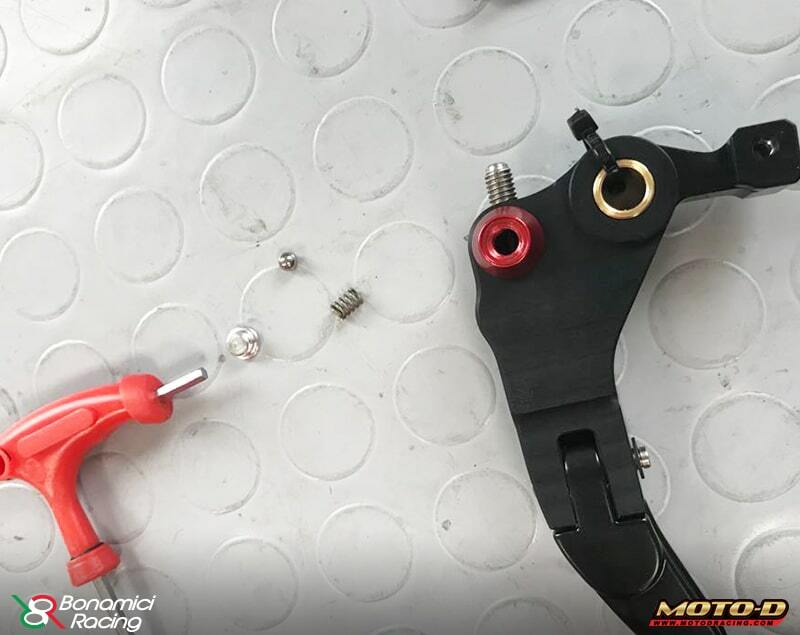 Step #3: Insert and tighten the right screw to lock the pin, in the right position. Step #4: Screw the tip of the cable into the lever pin. Step #5: Reinsert the ball, spring and screw previously removed. 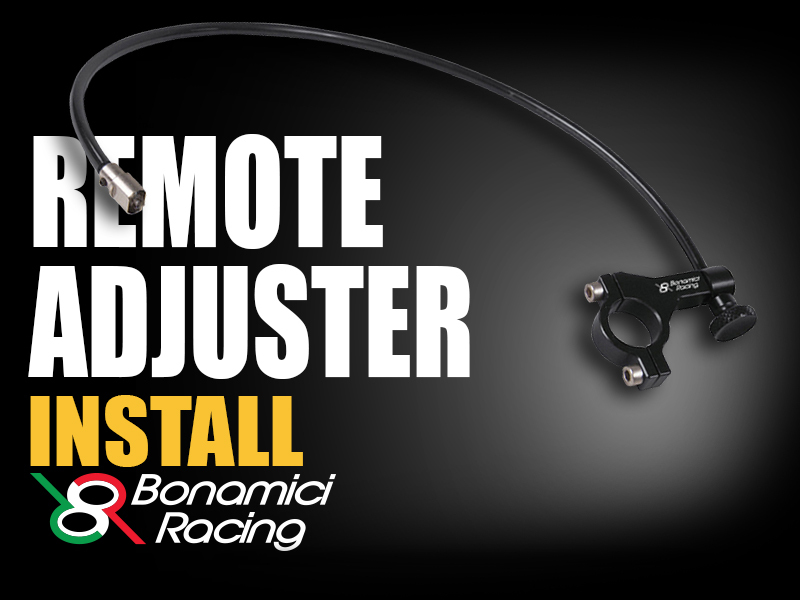 Step #6: You have just installed the Bonamici remote adjuster!